The Kaʻū region is famous for its microclimate and volcanic soils. This combination of rich earth and cooling temperatures at night make some of the world’s finest specialty coffee. The district of Kaʻū is a relative newcomer to the coffee world, only producing quality coffees in the last 15 to 20 years. Not nearly as old as the 100+ year old Kona coffee. However, the coffee that Kaʻū and its farmers produce is the same Arabica strains as Kona and has won distinguished cupping awards since 2007. In the realm of specialty coffee, Kaʻū coffee is well known as renown for achieving cupping scores of 85 or better. Quality graders and cupping judges have characterized Kaʻū coffee having a “Rich, sweet acidity; bright full-bodied aroma; balanced flavor with notes of plum and citrus; a clean long lasting after taste with sweet finish”. Different processing techniques from local mills include “Washed” (standard); “Semi-Washed” (often called honey washed, where some of the sweet pulp is left to dry upon the bean); and “Naturals” (where the skin and pulp is left untouched after being picked and the ripe cherry is dried with the skin and pulp fully encased around the bean). 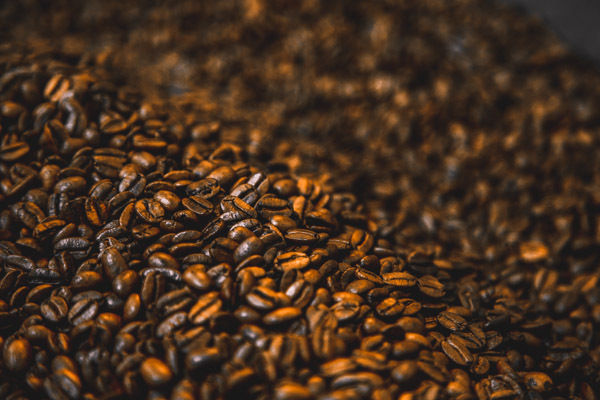 These different process methods from that of Washed, intensify some of the floral notes and add a full heavy body to the cup often with buttery notes of cocoa and cinnamon spiciness. 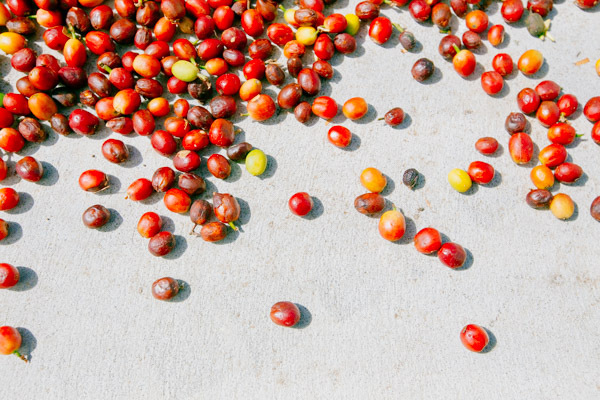 Coffees of Kaʻū are grown in four regional terroirs each adding its own notes of flavor and taste as the coffee beans glean the best from the regions soil, sun, and loving care from its farmer. The sub-regions, or terroirs, are Wood Valley, Pear Tree, Clouds Rest, and Naʻālehu. Kaʻū Valley Farms is located in the Naʻālehu region however, we also buy coffee from other farmers who grow coffee in the other terroirs. Our partner farmers include Norman and Nikki Santiago and their “K-n-J Coffee Farm” named after their two daughters. Their coffee is from the Wood Valley area on about 10 acres of land. Their varietals are 70% Typica and 30% Red Caturra and Red Catuai. Their coffee is washed process. Another farmer is Delvin and Shawnette Navarro of Navarro Coffee Farms. Their coffee is from farms in two different terroirs, 5 acres in the Wood Valley area and 14 acres from the Clouds Rest area. The varietals are mostly all typica with a small (and expanding) selection of a Catuai variant. Our third primary farmer/supplier is Lee and Nicole Segawa. Lee happens to also be the Kau Valley Farm Farm Manager. He is in charge of all growing, processing, and roasting activities of our operation. In addition to those management tasks upon the Naalehu regional farm of ours he and their family raise five acres of coffee in the Wood Valley region. His varietals are split between typica and a personal selection ‘Marogype’ variant of red catuai. This ‘marogype’ (pronounced “ma-roo-gee-peh”), produces beans of unusually large size and a smooth easy cup of coffee. Not only is Lee Segawa our manager and one of our partner farmers, he is also a Master Roaster, having been awarded the distinction of one of the top ten roasters at the Specialty Coffee Association of America annual convention in Seattle. Lee cares for his coffee trees with loving care and he roasts coffee with meticulous preciseness to bring out the most subtle flavors of the region the coffee was grown in. Knowing where the coffee was raised, who farmed it, the weather the crop experienced in the season, all combine with the skills of the master roaster in the roastery building thereby producing roasted beans of the highest quality and flavors unique to the terroir and the season the coffee was grown in.